Staging: Minimum stage area 10m (d) x 10m (w) (wing to wing). Proscenium end on configuration. Minimum Height to Grid 6m. Technical: This production incorporates video projection and requires a white cyc or a projection screen rigged on the 2nd most upstage bar. The Troth – Usne Kaha Tha is available for touring. 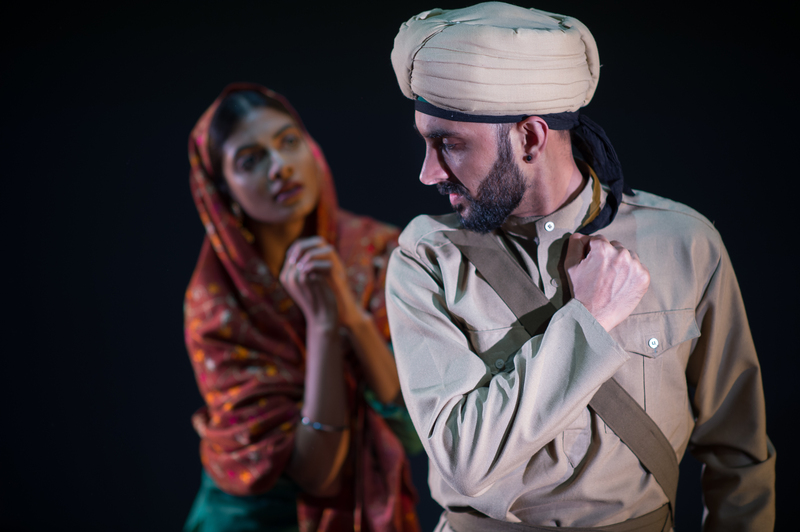 Please contact info@akademi.co.uk. For a full Promoter Pack, including technical rider, marketing materials, music and promotional films please get in touch. Film Screening | 25 Oct | Firstsite, Colchester. Part of Not Yet At Ease exhibition.